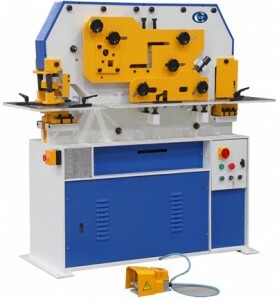 Sheet Metal Tools, Machinery, Equipment - Plate Metal Bending | C Marshall Fabrication Machinery, Inc.
Dual hydraulic cylinders for two man operation. Adjustable cylinder stroke with scale. Large two piece gauging table for punch station. Quick Change coupling nut and sleeve for rapid replacement of punch. Section shear for cutting angles at either at 90 degrees or 45 degrees. 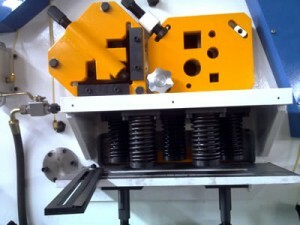 Bar shear for cutting round and square bar. 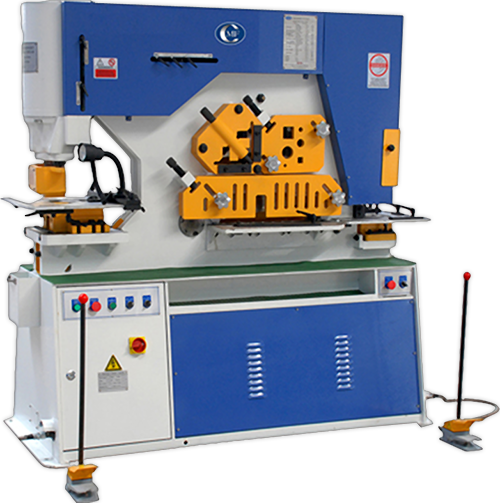 Electrically interlocked safety guard for notching station.